MyLiferaft - Freemium - MyLiferaft launches new FREE package! MyLiferaft Launch Free Subscription Package! 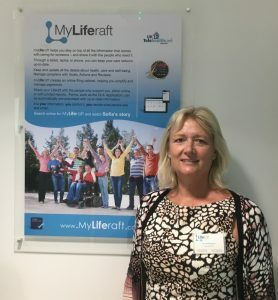 MyLiferaft, the support software for anyone with a long-term condition or disability and their care circle, is delighted to announce the launch of a brand-new FREE Subscription package. With users in mind MyLiferaft is now available FREE, no payment details are needed to create and use an account, and you can have access to a wide range of tools to assist you in managing your care and health. To give users choice, there is also the offer of a Premium account. This offers a wider range of features and sharing. Create your FREE account today – just click on Sign Up Now, download our Quick Start Guide and you are ready to start using MyLiferaft! 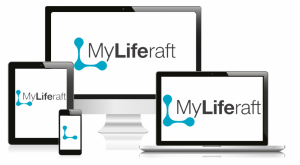 MyLiferaft gives you one secure place online to manage and update and share, all your personal health, well-being and care information using a laptop, tablet or phone at any time of day or night. Set up and manage an account for yourself, or someone else (i.e. a parent carer can set up an account for their child and/or elderly relative). These are just a snap shot of the features of MyLiferaft; to find out more about the difference MyLiferaft can make, please click here. MyLiferaft was created by technology entrepreneur Nicola Murgatroyd. Her eldest daughter had complex special needs, and Nicola faced real problems managing her care effectively. To find out more about Nicola’s story and MyLiferaft, click here.